The 2010 Cabernet Sauvignon Beckstoffer Dr. Crane Vineyard’s opaque purple color is followed by abundant aromas of blueberries, mulberries, and graphite/lead pencil shavings, a full-bodied mouthfeel, a rich, concentrated, layered texture and moderate tannin in the finish. While accessible, this beauty should continue to age for 15-20 years. 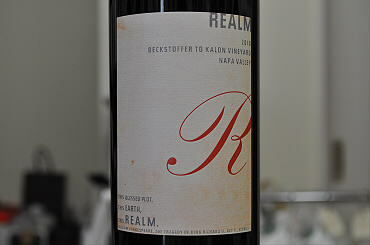 The finest fruit purchased by Realm Cellars goes into the Cabernet Sauvignon Beckstoffer To Kalon cuvee. The deep ruby/purple-hued 2010 boasts plenty of blue and black fruits along with hints of incense and violets, full body and beautiful purity, texture and length. The tannins, oak, acidity and alcohol are all well-integrated in this beauty. It should provide enjoyment over the next 10-15 years. The 2014 The Tempest, a blend of 62% Merlot, 33% Cabernet Sauvignon and 5% Petit Verdot is a 500-case cuvee aged in about 65% new Taransaud and Darnajou French oak cooperage. A beautiful nose of cedar wood, chocolate, spice box, forest floor and black and red fruits jumps from the glass of this dense, opulent, voluptuously textured and full-bodied wine with terrific purity, can be drunk now, or cellared for up to another 15 or more years. 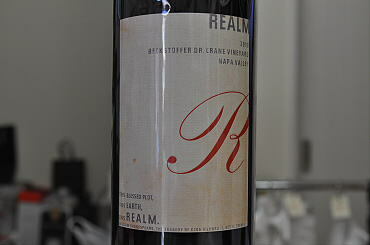 The 2012 Proprietary Red Blend The Tempest (55% Merlot from the Beckstoffer To-Kalon Vineyard, 22% Cabernet Franc from the Kenefick Vineyard, 18% Cabernet Sauvignon from Farella Vineyard and 5% Petit Verdot from the Beckstoffer Dr. Crane Vineyard) possesses a complex bouquet of licorice, barbecue smoke, incense, blueberries and black cherries infused with mocha and a whiff of freshly brewed coffee. With a beautiful texture, superb intensity, and an opulent, full-bodied style, it is a dramatic and ostentatious 2012 to drink over the next decade or more. 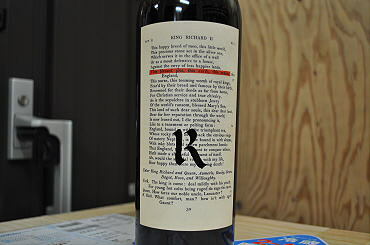 The 2014 The Bard is a blend of 90% Cabernet Sauvignon and the rest Petit Verdot and Merlot. This is their largest cuvee of 2,000 cases. The wine shows exciting elegance, purity, a dense purple color, sweet black currant and blackberry fruit intermixed with licorice and charcoal. It is full-bodied, showing nice loamy forest floor notes. 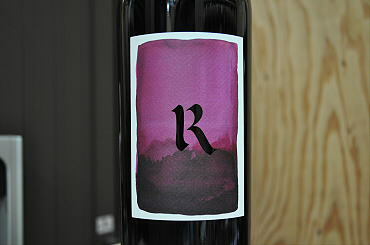 It also possesses a layered mouthfeel and terrific purity, texture and length. Drink it over the next 20+ years.